Option, the company connecting Things to the Cloud, today announced that CloudGate has been certified for use with the full range of 900 MHz sensors from Monnit Corporation, the leader in low cost remote monitoring solutions and wireless sensing. 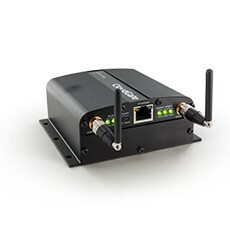 CloudGate offers Ethernet, WiFi, and GPS connectivity, in addition to 900 MHz sensor connectivity. In cooperation with the cloud-based iMonnit Web Portal, CloudGate will deliver sensor configuration, alarming and notification for a myriad of 900 MHz sensors that monitor temperature, humidity, vibration, motion, water level and more. Monnit’s wireless sensors monitor various functions critical to business operations. Through the CloudGate platform, the sensors connect to the iMonnit system enabling complete wireless sensing and monitoring solutions, designed to keep track of critical functions, helping to ensure efficiency, maintain business operations, increase productivity and ensure security while increasing on-the-job safety. “Monnit is excited to offer such a feature-rich cellular gateway to our partners and customers”, said Brad Walters, CEO of Monnit Corporation. Monnit is demonstrating its sensor technology in conjunction with the CloudGate platform at CTIA – Super Mobility 2015 (Las Vegas, US, September 9-11, Sands Expo, booth 5751).